"Kenworth has long been a proud participant in The Work Truck Show. 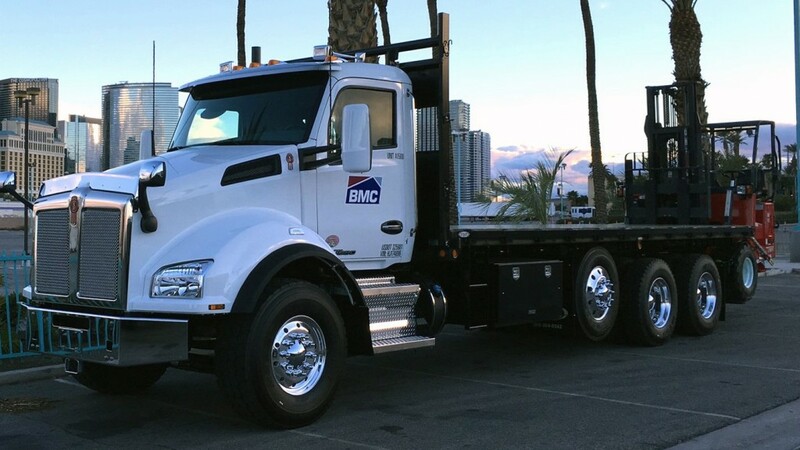 It allows us to showcase what we consider is the industry's most complete line of trucks that can be customized to meet the requirements of our vocational customers," said Kurt Swihart, Kenworth marketing director. "We continue to bring new products and options to market, which can help improve productivity while lowering operating costs." The Kenworth lineup is led by the Kenworth T370 6x6 Valew Water Tanker, equipped with a 20K front drive axle and a PACCAR PX-9 engine, and a Kenworth T880 BMC flatbed powered with a PACCAR MX-13 engine, matched to a PACCAR 12-speed automated transmission. It features the PACCAR 20K front axle. In addition, there are two more Kenworth T370s - one equipped with a Summit service body, powered with a PACCAR PX-9 engine, and one with Altec Aerial equipment, powered with a PACCAR PX-7 engine. Completing the lineup are a KenworthT270 equipped with Vactor Paradigm body and a PACCAR PX-9 engine, and a Kenworth K370 cabover with a DuraPatcher body and a PACCAR PX-7 engine. Kenworth will offer a "Kenworth Chassis Update" from 8 a.m. to 9:15 a.m. in the Wabash 3 room on Wednesday, March 6. The informative product session will provide insights into Kenworth's vocation-specific options that help optimize body and equipment installation and designs.